The National Newspaper Association monitors, evaluates and analyzes trends affecting the community newspaper industry through annual research conducted in partnership with Susquehanna Polling and Research. NNA often creates house ads, promotions and presentation materials from its research for members to use in their communities. Highlights of NNA’s research can be found in the About community newspapers section of this website. NNA provides its members with content they can reprint in their papers or on their websites. This content includes First Amendment columns or editorials from the Freedom Forum, available weekly. Articles for NNA members from Bottom Line Inc. The National Newspaper Association has an exclusive partnership with leading consumer publisher Bottom Line Inc. (www.BottomLineInc.com), publishers of Bottom Line Personal, Bottom Line Health and BottomLineInc.com. Through this special arrangement, member newspapers will have access to Bottom Line’s respected, accurate content for use in print and online editions of NNA members’ publications. There is no charge for the use of content. The only thing members will need to do is to include proper citation and credit to Bottom Line in print and proper linking to online articles. NNA’s best and brightest publishers have made the Great Ideas session of the Annual Convention a huge hit for more than a decade. These terrific success stories, along with other great ideas we find throughout the year, are available to NNA members 24/7. And, members are encouraged to submit and share their great ideas at any time to grow this valuable resource. 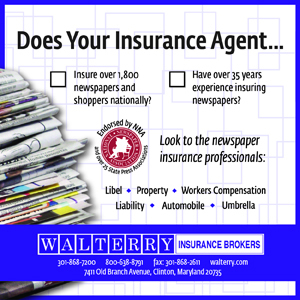 Promote your community newspapers with these customizable house ads. NNA has produced a series of house ads based on our latest market research. House ads from other sources are also presented. NNA's Job Exchange is your one-stop shop for all your employment needs--post help wanted ads, view openings at newspapers across the country or post your resume if you're in the job market. Manage your employment needs on your own time--24/7 and your ads are posted immediately. Research commissioned by the National Newspaper Association shows that, unlike some larger market newspapers, the future of community newspapers is strong. To assist member newspapers get this information out to prospective advertisers, NNA has created components for a media kit that members can download and customize for their markets. Download a copy here. Publishers' Auxiliary (Pub Aux) is the only national publication serving America's community newspapers. First published in 1865, Publishers' Auxiliary is also the oldest newspaper serving the newspaper industry. Pub Aux Live features revenue-generating ideas for community newspapers. It is brought to you by The National Newspaper Association, in partnership with the Iowa Newspaper Foundation. how news makes it to print, how to contact a newspaper and how to present one's information. 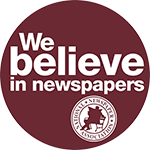 NNA members can take advantage of free serialized story through the Reading Across the Nation campaign through cooperation between the National Newspaper Association Foundation and the Missouri Press Association. The goal is to have young readers across the nation reading inside their community newspapers. NNA newspapers may use the current serialized story by downloading it using the download code: nnaread. 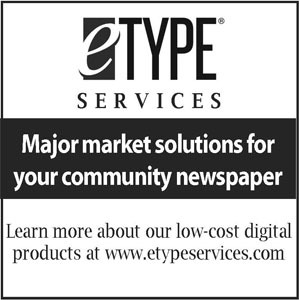 The Internet has a vast number of free resources that can be of use to community newspaper publishers, editors, advertising staff, photographers — everyone involved in producing quality community newspapers. NNA staff has found and organized these links and resources for member use, 24/7, so members don’t have to spend hours or days scouring the web for these resources. A list of webinars is available to NNA members. Are you providing a webinar or know of one that might be of interest to NNA members? List it here. Find a link here that no longer works? Or know of links we should add here? Let us know. Two-thirds (67%) of residents in small communities in the United States read local newspapers ranging from 1 to 7 days a week, according to the 2013 Community Newspaper Readership Study conducted by The Reynolds Journalism Institute (RJI) on behalf of National Newspaper Association (NNA) in September and November 2013.